Scottish-born English novelist, Sarah Broom Macnaughtan (1864 â€“ 1916) spent much of her life in the service of others in need. 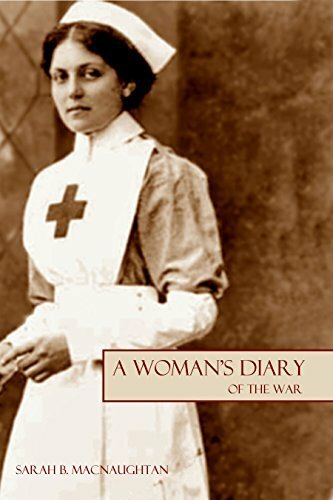 She worked for the Red Cross to aid soldiers and civilians in the Balkans, the Boer War, and WWI. She was a suffragist and worked for the poor. She kept this diary during her service in WWI. During that war, she received the Order of Leopold for work under fire in Belgium.